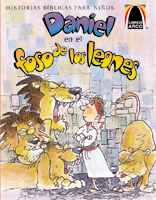 Daniel’s stories of dreams, fiery furnaces, and lions’ dens proclaim the majesty of the God who saves! Perfectly adaptable to any setting and program size, It Happened in Babylon engages children (ages 3–14) and adults in themed Bible lessons, memorable music, and age-appropriate activities. 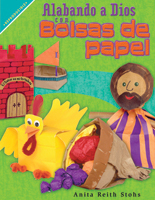 The simple program is a wonderful outreach tool, whether you’re hosting a Spanish VBS at your church or during a mission trip. In the heat of a Babylonian summer, in a beautiful palace overflowing with lush plants, four children go on a search for clues about the incredible stories they had heard about a young man named Daniel. When they find him, they’re surprised to see that he isn’t young anymore—but he has many stories to tell them about his time in Babylon with King Nebuchadnezzar. 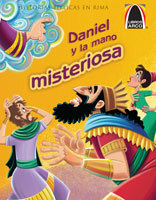 Children will tag alongside the four youngsters listening to Daniel’s true stories about God’s power. Daniel’s stories of dreams, fiery furnaces, and lions’ dens proclaim the majesty of the God who saves. Each of the five stories teaches that God works in every situation so that people will come to know Him! Begin each day with a time of praise by singing special It Happened in Babylon songs, available in Spanish and instrumental versions. 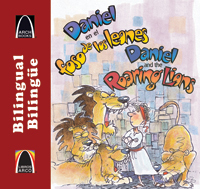 During the lesson rotation, learn about Daniel’s latest adventures by reading aloud the daily theme-based story or playing the recording on CD (Spanish only). Next, present and discuss the Bible lesson from Scripture. For activities time, participants gather in age groups to enjoy engaging review activities and lively games. On the last day, create a closing event where participants can share with teachers and parents all they discovered on their journey. Invite parents or adults from the community to study God’s Word alongside the children by using themed reproducible adult Bible studies from the Event Manual. Everyone will love going on this adventure together! Encourage the whole church to get involved! Vacation Bible School is a wonderful opportunity to invite new families into your church and reach out to your community. Choose dates that best work with the host church pastor’s availability and do not conflict with other community events and school schedules. Keep in mind the weather, too, if you plan to be outside. Prepare a budget to help you stay on track financially. Consider organizing a fund-raiser or two, asking for donations, or charging a small registration fee. Start asking for volunteers early. Junior high and senior high youth make great volunteers, and VBS is a good way to involve young people on a mission trip or teens from the local church at your mission site! Be sure to share the goals of the event with your volunteers and coordinate responsibilities with their interests and abilities. Set up a promotional team that’s willing to make personal invitations, call families with children, and set up an information table at the church. Remember to factor in time for early registration, training for your teachers and volunteers, and preparing snacks for the children and volunteers during your event! Planning and promoting a VBS is a big time commitment, but it’s an excellent outreach event and an opportunity to bring the Good News of Jesus Christ to children and families. God’s blessings as you plan your VBS! Inside the Starter Kit, find all the promotional, planning, and teaching materials you will need, plus sample student materials for each age level. * Recorded narrations are in Spanish only. All music is available in Spanish and instrumental versions. The audio is not available in English. 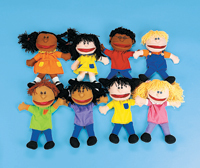 Student lessons are divided into three student levels, each with age-appropriate activities. 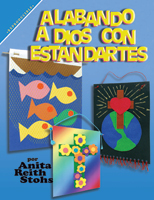 The Event Manual includes theme-based reproducible Bible studies for adults. 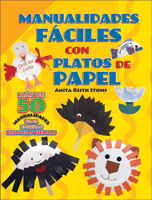 Each lesson is sold individually and includes all the material for days 1–5. Order one per student. Lessons include a take-home worksheet & bookmark for every day! VBS is part of something bigger. Use any or all of the resources below to enhance your understanding and teaching of the story of Daniel and keep God’s Word at the forefront year-round. Check out Splash Canyon, Concordia’s 2018 VBS! One Date, One Return Privilege. Maximize your selling season! 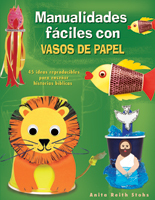 All It Happened in Babylon VBS product can be returned for a full refund. Please return unopened & salable items by September 15, 2018.